When working with you privately one on one Marcia will work with you on dealing with your personal needs. For those students that need assistance with issues outside of the home, Marcia will arrange to work with you in those areas. Marcia's goal is to have you and your dog(s) working in harmoney as a team. With her numerous years of training at all levels of Obedience combined with her Canine Behaviour knowledge, Marcia is able to assist you whereever it is needed. 7918 Yonge Street Innisfil, ON. This 4 week course is designed to get those commands most used at/in a Cottage environment down to perfection. Come, Leave It, Wait and Loose Leash Walking. Long Line (leashes) required. 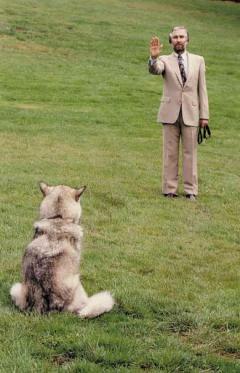 The aim is to have dogs listening when off Leash in an Open Field and/or Forested Area. Dog Scouts' 50 Acre property provides the ideal situational training. 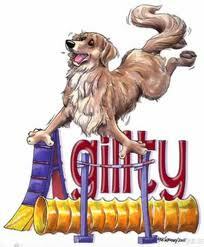 (Beginner skills required) Just for Fun and BOND Building, FUNgility introduces you and your dog to several pieces of equipment used in AGILITY, Jumps, Tunnel, Tire Jump, Weave Poles, A-Frame & Teter Totter. A great sport for both you and your dog. This is a 6 week course, running Summer months only as we work outside in the 3 acre field. Rained out days will be made up at end of course. associations when introducing dogs to new experiences or people.